I shall redeem them from Death. Sadly, there was no king, no queen or ruler capable of saving Israel from their impending slavery and exile. Israel foolishly turned to its earthly governors instead of turning to God. He uses these verses to encourage us in the victory we have in Jesus Christ. Sin and death have been defeated by Jesus in the Cross. That´s our greatest victory! There is no Savior apart from Jesus Christ. He defeated and overcame death. He rose to give us life. Let´s praise Him today! Dear Lord, You are mighty to save. 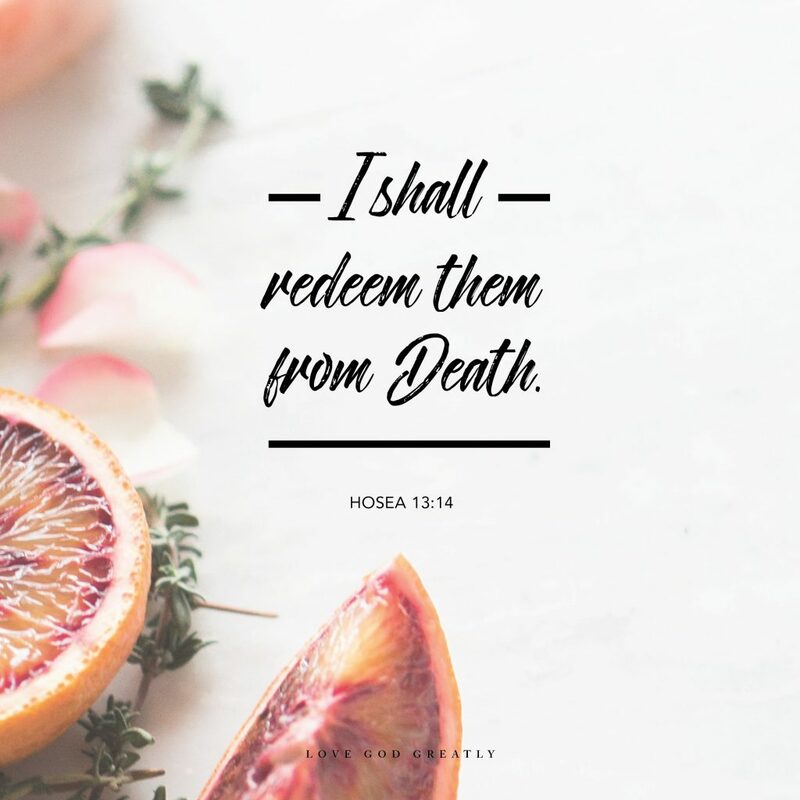 You conquered death and gave me eternal life. I praise You and give You all the glory. There is no way I can thank You enough for the sacrifice of Jesus on the cross. Amen.